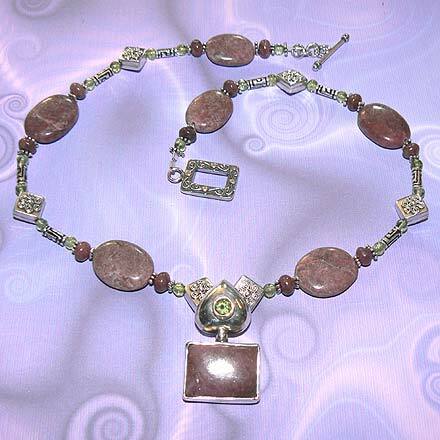 Sterling Silver Rhodonite and Peridot Necklace. See Closeup. 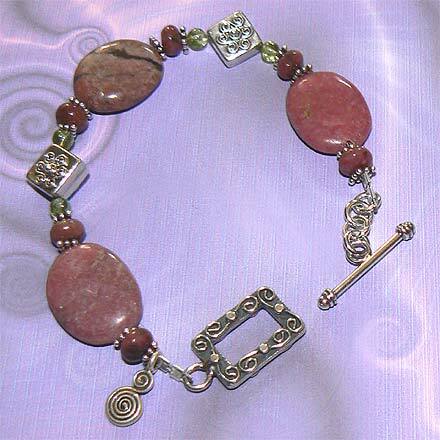 Sterling Silver Rhodonite and Peridot Bracelet. 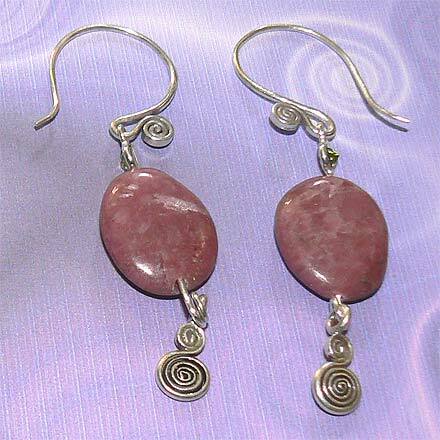 Sterling Silver Rhodonite and Peridot Earrings. 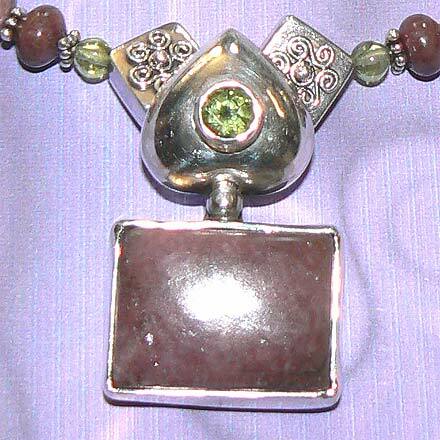 Pendant resembles an inverted heart on top; Earrings have faceted Peridots on top which is hard to see from the photograph as they are on their side. For those who are interested in Astrological significances of stones, Rhodonite corresponds with Taurus, Garnet corresponds with Capricorn, Aquarius and the month of January, and Peridot corresponds with Libra and with the month of August.